Precision Garage Door is Chula Vista's resource for all your garage door needs. 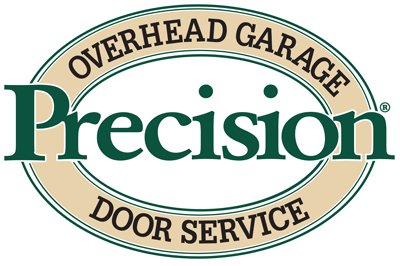 Whether you need a new garage door or garage door repairs, Precision will be there for you. Our certified technicians will solve your garage door problems quickly and professionally. When Chula Vista residents need garage door services make Precision Door your first call. Contact us today if you have questions about your garage door. We are excited to serve you and all of Chula Vista. When garage doors in Chula Vista experience a problem, you want quick and professional help you can rely on. That's Precision. Our trained and certified garage door technicians will repair your doors, openers and provide any needed maintenance. We will arrive at you home on time and quickly work to diagnose and solve the problem. Your safety is our priority and having a garage door that works properly will ensure that safety. You can expect Precision to provide your repairs on time, on budget, and it will be done right the first time. Is you old garage door on it's last legs? Do you want to improve your homes curb appeal? Precision Door will help you find the right door for Chula Vista and install it professionally. There are hundreds of styles to choose: Whether you prefer a traditional, contemporary, carriage house, or raised panel style, we can deliver. You can expect to choose from a wide variety of styles, materials, colors, and windows for your new door. Our experts live and work in Chula Vista and can assist with you with designing the garage door and staying within budget. We will happily recycle your old door. The electric garage door opener is often thought of as part of the door - however, they are separate systems and the opener is critical to the function of your garage door. The opener is not only convenient, it provides you with safe access and a well lit environment. In many homes the garage door is the most-used entry door to the home. That means it is important for the opener to work safely and reliably. You need a Chula Vista garage door company that can provide you with the maintenance, repairs, and replacements you need. Make the Right Decision Call Precision. Precision Garage Door is Chula Vistas' best resource for commercial-grade garage door parts. We install the industries best and longest lasting parts. You can count on Precision. Our superior springs, brackets, rollers, and bearings will make your garage door safer, quieter and longer lasting. Call us for Chula Vista garage door services that will make the neighborhood jealous.